Adulting 101 is a series of helpful tutorials/classes/tips for teens and young adults (ages 16-25) that will help them on their journey to and through adulthood. 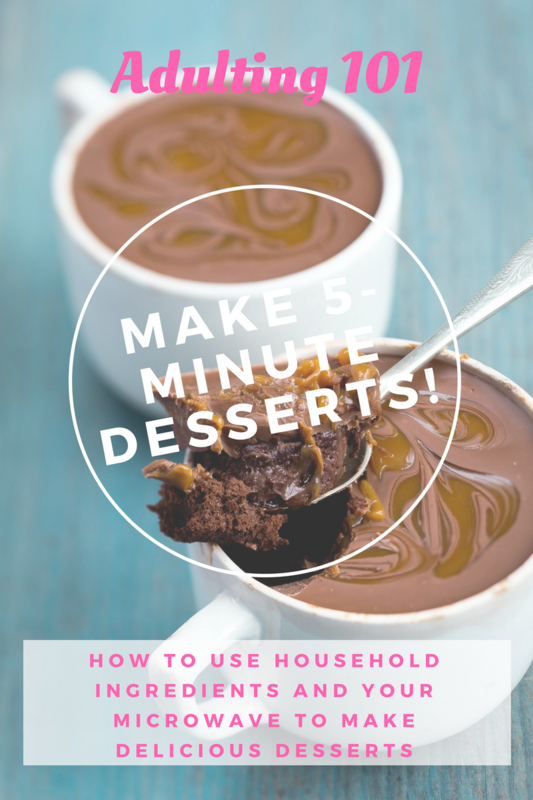 This month, we'll be learning how to make dessert for one with recipes for 5-minute microwave mug cakes using common household ingredients! You'll be able to make whichever recipe you choose and then taste test several other mug cakes. It's going to be crazy, delicious, and fun! Registration is required due to limited materials, so sign up today!